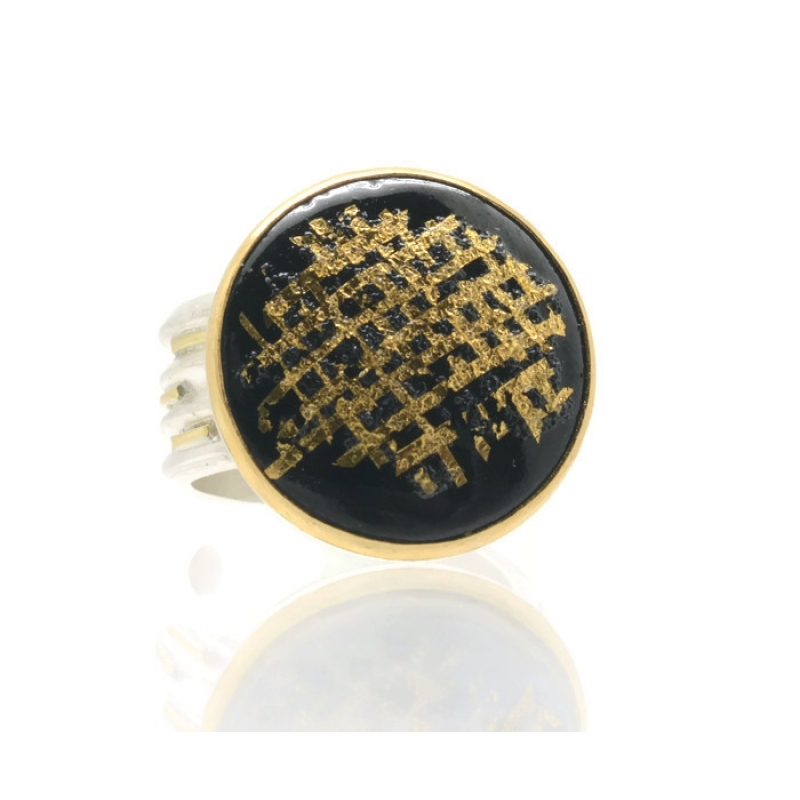 This ring is made using the ancient technique of enameling. Enameling is considered the most intricate and difficult of all jewelry techniques, the process of fusing glass to metal can be dated as far back as the Hellenistic Period (323 B.C. to 31 B.C.). Vitreous enamels start as powder made of finely ground glass mixed with mineral pigments. To reach the desired depth and clarity of color the piece needs to be fired in a kiln many times between 1,380F and 1,560F. Here, vitreous opaque enamel is applied to copper. 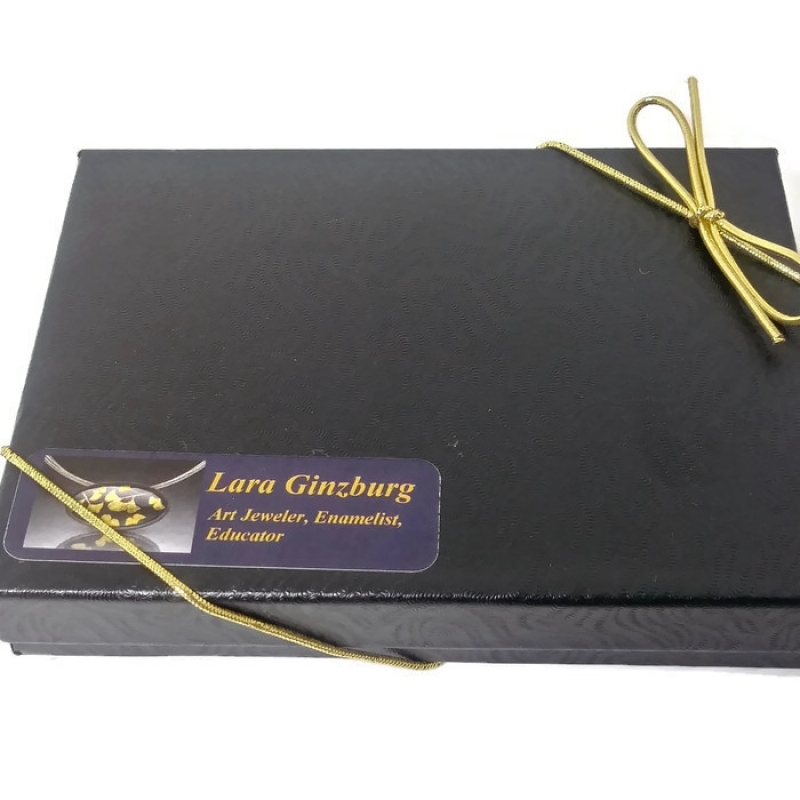 Gold stripes are hand cut out from 24K gold foil and fused to the enamel. A special enamel firing technique was employed to add texture to the surface. The wide shank is Sterling Silver and is lightly oxidized to better play with the design. Measurements Ring Size: 7 1/8 (US) ; Ring top: 3/4" ; Ring Width: 7/16"
Botanical Blue and Gold Gingko Oval Brooch.